Susan Hentz & Associates provide quality educational training through on-site seminars, personalized coaching, and targeted consulting. 2019 Spring Co-Teach Seminars coming soon! Contact us for more information at info@susanhentz.com. Our seminars are high-energy, interactive experiences packed with practical strategies to improve instructional practices. Participate in a collaborative, intensive learning experience with guidance & reflection. Personalized coaching is available as on site, virtual or a combination based on your cycle of support. Our team assists states and districts target needs to implement school improvement and reform initiatives. We can build professional development specific to your school, district or corporation. Creating a highly-engaged classroom by utilizing active learning strategies can motivate every learner to be intellectually engaged. 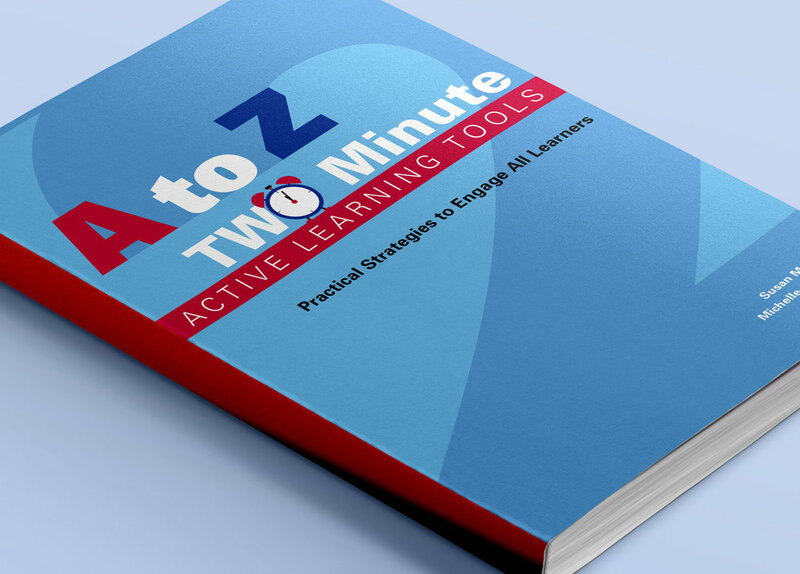 The A to Z two minute active learning strategies are practical, innovative, and highly effective in getting your learners actively engaged. Selected strategies are based upon core components of active engagement including: activating knowledge, building self-esteem, collaboration, synthesis, questioning, discussion, mastery, and movement.